GOING GREEN provides both local (Houston Area) earmarked incentives for Commercial Buildings as per announced by the former City of Houston Mayor Anise Parker. 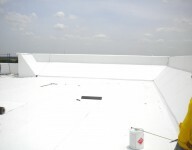 Now more than ever the incentives for retrofit applications on existing Commercial Buildings can greatly reduce your true cost for your new roof, as well as provide substantial energy savings over a period of time. If you are considering re-roofing any commercial building we can prepare a detailed, transparent report free of charge on annual energy reduction, as well as long-term savings through Specialized Software provided by Carlisle-Syntec Corporation that generates a “Roof Sense” report. 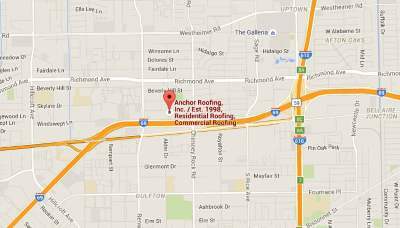 If you are interested in having Anchor Roofing (roof repair Houston expert) provide a report illustrating the benefits of Re-Roofing your commercial property give us a call. There is no charge for the report; however we would appreciate only serious inquiries. Our goal is to earn your business through proving how you can benefit by having us design a system that meets or exceeds all requirements. Often between available incentives, and reduced energy consumption as a result of your new roof can absorb the upfront cost in as little as three years, and thereafter years of savings on your energy bill while improving the environment at the same time. Houston has a mandated Commercial Energy Code which we have written about in the past and provided information. Here comes the role of roofing companies Houston experts, they guide and assist in choosing the right roofs for your homes. The new local incentive program is earmarked for $3,000,000.00 in available funding for now. Making a decision translates into a credit of 20% valuation of materials and labor to meet sustainability goals. On the Federal level incentives starting at 60 cents per square foot available for improving a building envelopes efficiency as little as 10% all the way up to $1.80 a square foot for reaching maximum sustainability goals. When the two incentive programs are properly utilized together Commercial Building owners and real estate investors, as well as long term leasing businesses could see up to around $3.00 per square foot in total credits.